Centrelink will contact tens of thousands of single parents who were wrongly told to destroy their concession cards after moving to Newstart dole payments. Human Services Minister Kim Carr told Fairfax Media the ”computer-generated” letters declaring the discount cards invalid were sent in error and admitted they would have caused confusion. Senator Carr said that despite the letters, all single principal carers on Newstart were entitled to a pensioner concession card and associated discounts. ”New cards will be issued immediately and be received by people by the end of the month,” he said. The comments came after Fairfax Media on Sunday highlighted how Centrelink had issued letters to single parents telling them their parenting payment had ended and they should ”destroy this [pensioner concession] card immediately after [December 31, 2012]”. From January 1, people whose youngest child had turned eight were no longer eligible for single parenting payments and moved onto the lower Newstart allowance. Greens senator Rachel Siewert condemned the confusing, mixed messages as ”the last thing people need”. An organiser of a protest rally outside Parliament House next month, Samantha Seymour, said the concession card helped her with pharmaceutical, public transport and utility costs. The mother of eight-year-old twins said the Centrelink letter bluntly warned people not to keep using the cards as companies could check their status electronically. ”When I received that [letter] it was just another nail in this whole horrid affair and it devastated me,” Ms Seymour said. Senator Carr said the letters issued last month were automatically generated when people moved off the single parenting payment. 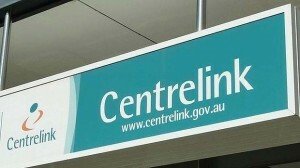 Senator Carr said Centrelink had previously held individual meetings with single parents affected by the government’s Newstart decision and the continuing status of the cards would have been explained at those meetings. The existing concession cards could continue to be used but new ones were being issued shortly, he said. The Gillard government has drawn the ire of welfare and community groups by moving single parents onto the Newstart allowance when their youngest child turns eight, regardless of when they started receiving payments. In 2006, the former Howard government began the process but ensured eligible parents who were already receiving the payments could continue to do so until their youngest child turned 16. This exemption has now been closed in a bid to save the federal budget more than $700 million over four years. The move to Newstart will mean the maximum support drops by $65 to about $267 a week. Newstart also has stricter rules about how much additional income a person can earn before the allowance is reduced. The recently formed Single Parent Action Group is planning protests around the country when Federal Parliament resumes on February 5 – including a march from Old Parliament House to new Parliament House in Canberra. Ms Seymour, a spokeswoman for the group, said the rally aimed to show it was unacceptable to force people to live under the poverty line while raising children. Prime Minister Julia Gillard has previously acknowledged it would be ”incredibly tough” to live on $35 a day but said the government’s priority was to create jobs. Her predecessor, Kevin Rudd, last week called on the government to ”show a bit of heart and do more” to help Australians struggling on Newstart.